As a result of our long term and in-depth experience as a professional conference organiser, GCO Consultancy is specialized in Risk Management Solutions for meetings and events in the Pharma and Life Sciences industry. 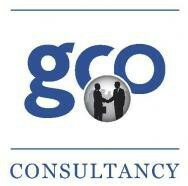 GCO Consultancy offers a wide range of specialized solutions, based on our 25+ years of experience and dedication. GCO Consultancy will offer you unbiased advice and risk management solutions to manage your meetings and events, while safeguarding your brands, your reputation and your ROI, keeping regulatory constraints in mind. We empower our consultants to remain independent and unbiased, enabling them to give honest and impartial advice. Taking over control is not our mission, managing risks is, and so we will always run our own risk assessment before taking on any assignment, which sets us up to mitigate risk on our clients’ behalf much more effectively at subsequent stages. With an open mind and a proven set of screening questions, GCO strives to not only identify overt risks but especially covert risks, before we propose a comprehensive plan to manage these risks. GCO’s solutions will enable you to transfer knowledge, and to build and embed sustainable solutions while you remain in control.